With features and guarantees like that, you'll never have to buy another water heater as long as you own your home. 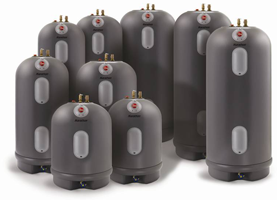 To learn more about Marathon electric water heaters, click here. With electric water heaters there is no danger of flames or carbon monoxide poison. It's the safe choice for your home. Call us today at 479-521-2900 or 1-800-521-6144 for more information, pricing and to purchase the last water heater you'll ever have to buy.